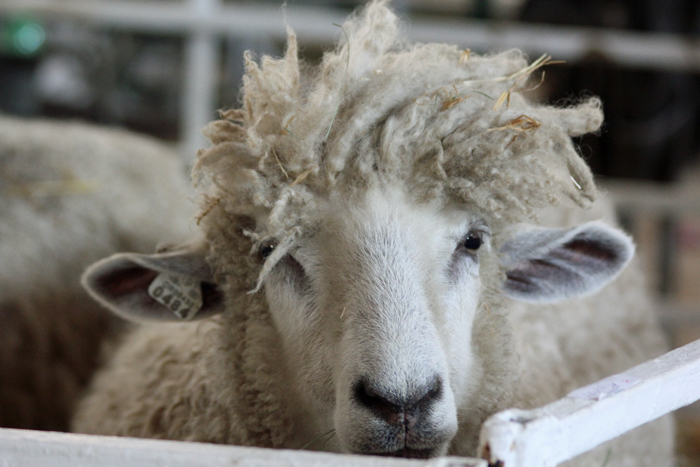 Outstanding, Family, Friends, and Fiber…also known as the Oregon Flock and Fiber Festival. 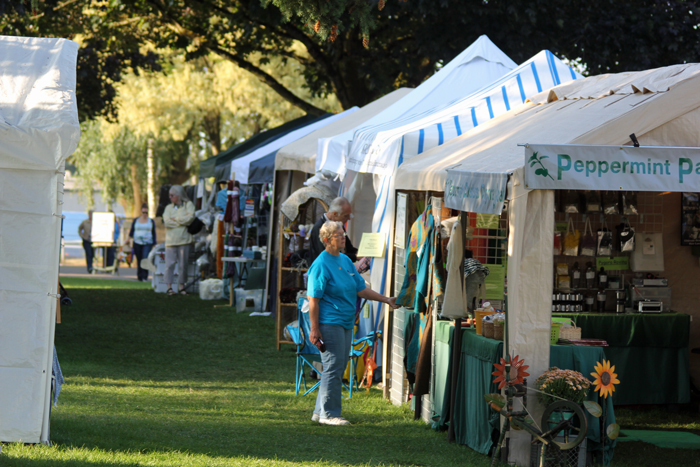 What a great time we had at the festival last weekend! 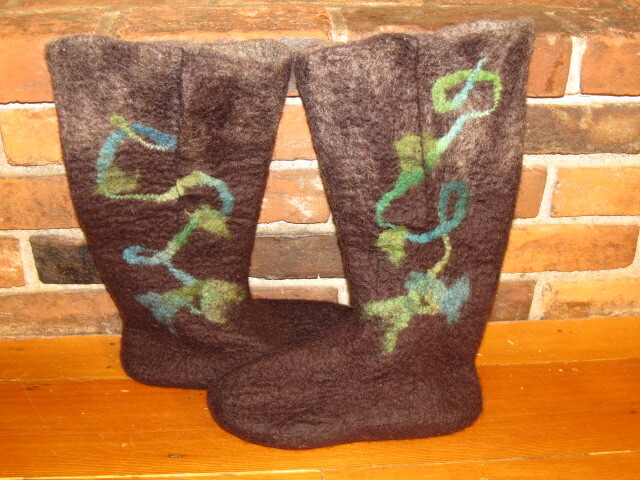 It started on Friday with a fabulous felted boot class with Carin Engen. It turned out that 3 very fun ladies were also taking the same class. At the end of the day, there were a lot of beautiful boots around the room. Here are mine. I will be ordering soles soon and adding buttons up the side. 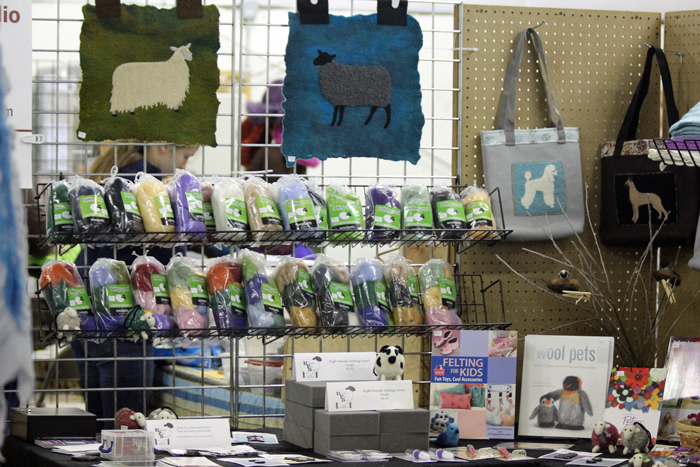 Since I was in a class all day, I was a little short on time to set-up my vendor booth. Thanks to a couple spectacular friends, this wasn’t an issue at all!!!! Love these two ladies!!! In addition to helping me set my booth up, they also watched it for little bits of time throughout the weekend. Words can’t describe how much I appreciate their help. 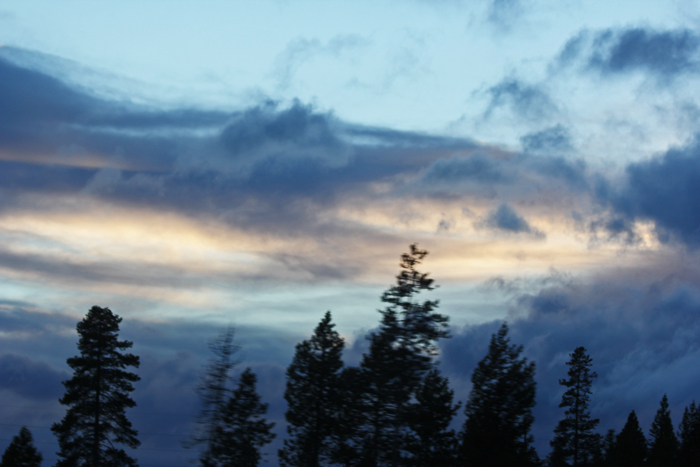 The mornings were beautiful and the weather was so cooperative! 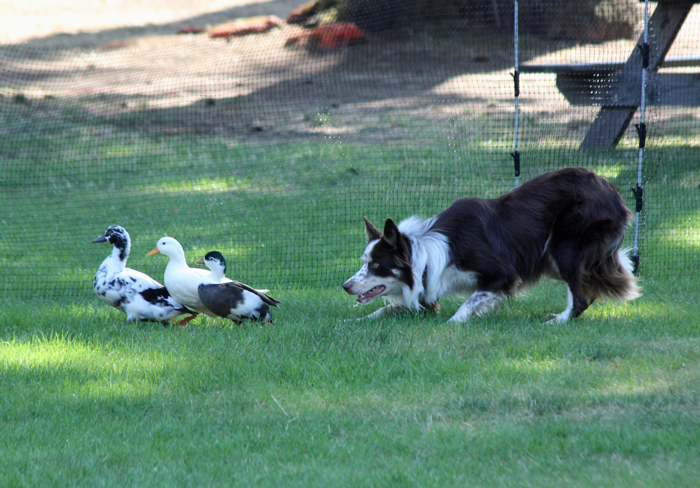 A friend’s dog, Zeke, got to show off his mad duck herding skills. It was a big crowd pleaser. 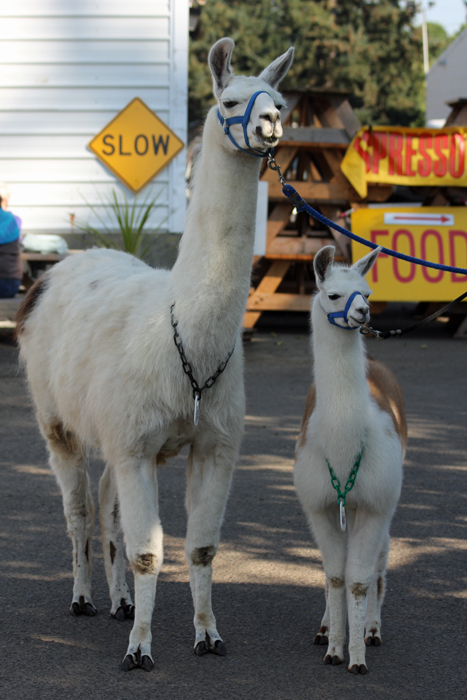 A mama llama and her mini me. 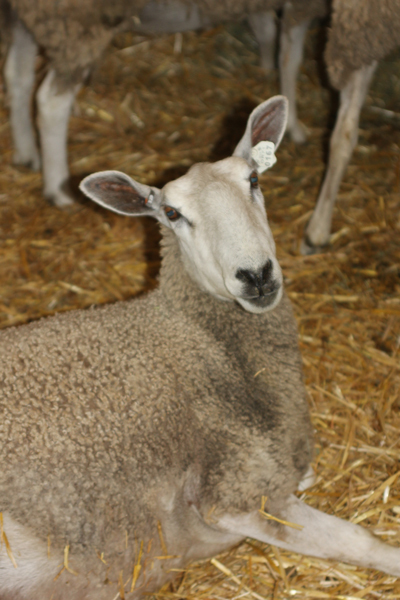 Lots of baaaaing back and forth between the barn and the show ring. 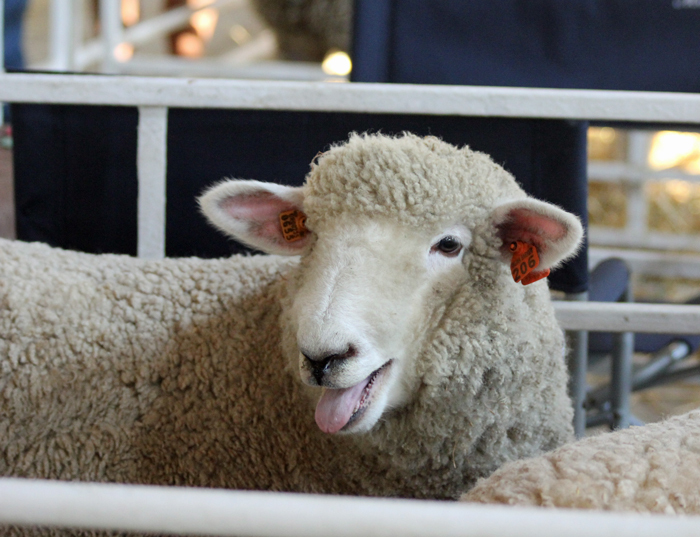 and of course…my favorite breed. 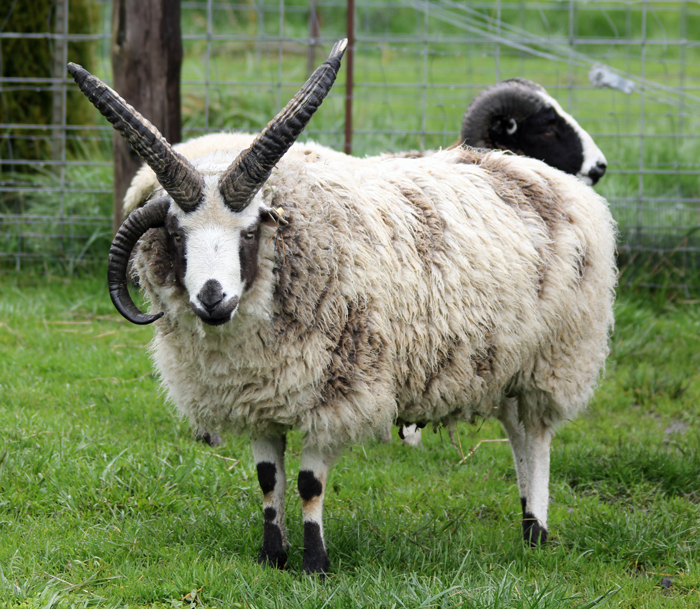 Love the horns on this little girl. Quality time with great friends enjoying what we love! 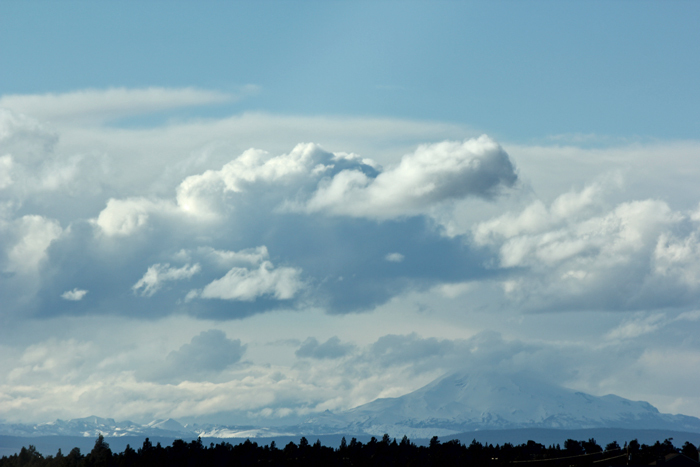 open and vast and most importantly on this day – BLUE!!! 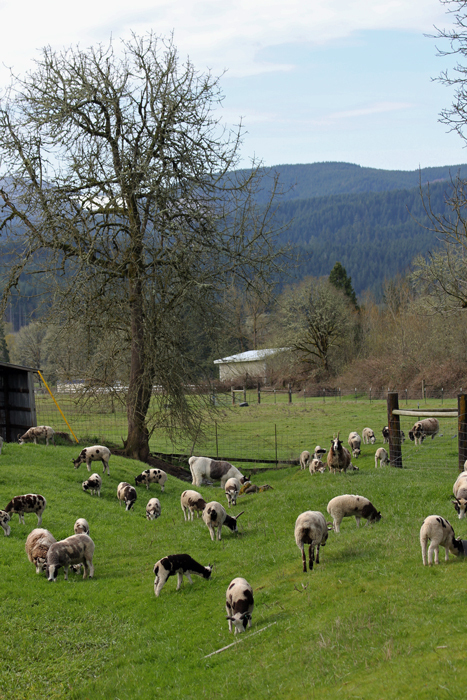 We have been in the gray gloom that has encompassed the valley for the month of March and some sun was desperately needed. 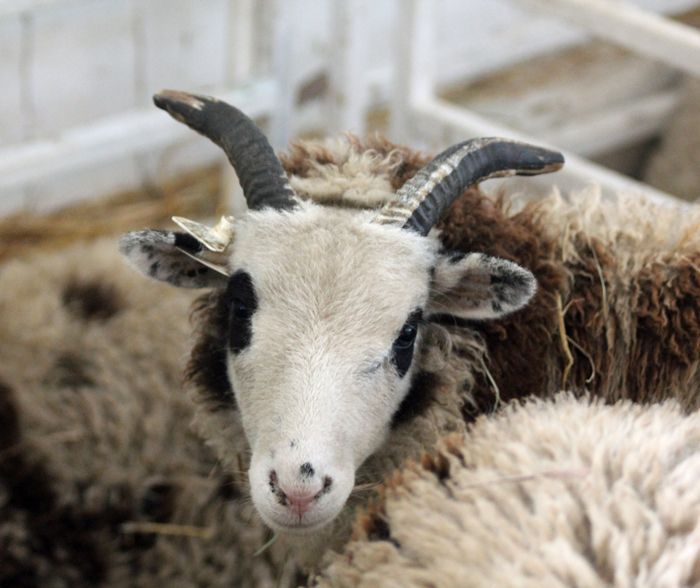 We made the trip for the High Desert Wool Growers Fiber Market Day and to bring a new/old ram home. My sweet husband made the trip with me and pulled the stock trailer over the pass in the snow and did a fabulous job. I kept my head down and enjoyed my book. Not only did he drive over the mountain for me, but he also helped me set my booth up! 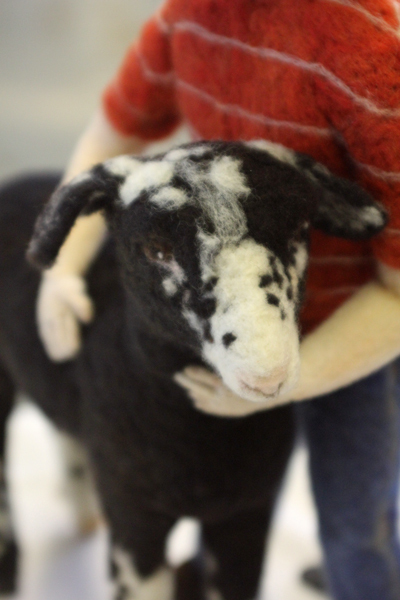 felt sheep, felt dogs, felting supplies, and jacob horn buttons. Whew! 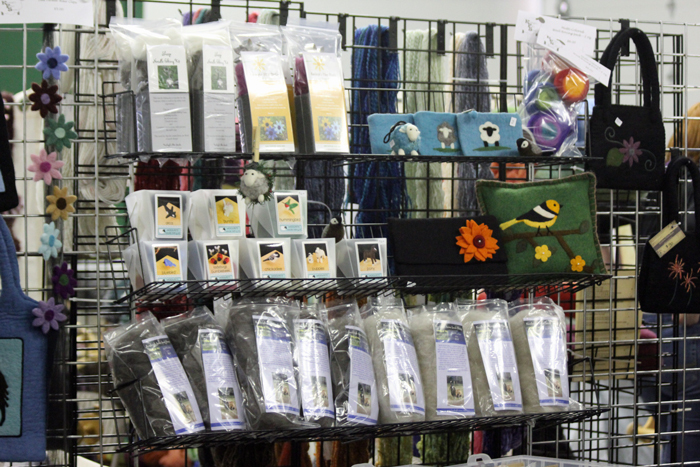 It was so nice to have his help and he even manned the booth for me to do a little shopping of my own! 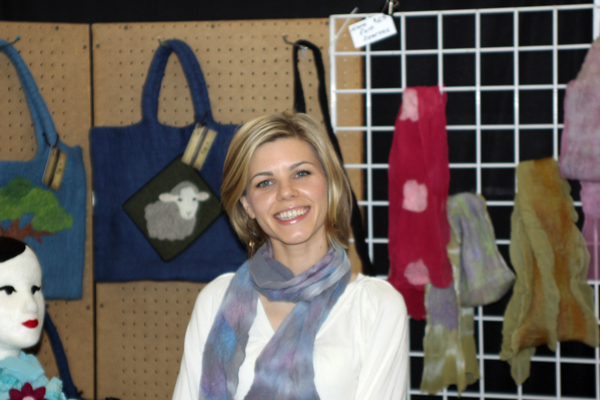 We had a very busy day at the fiber show and had a wonderful time! 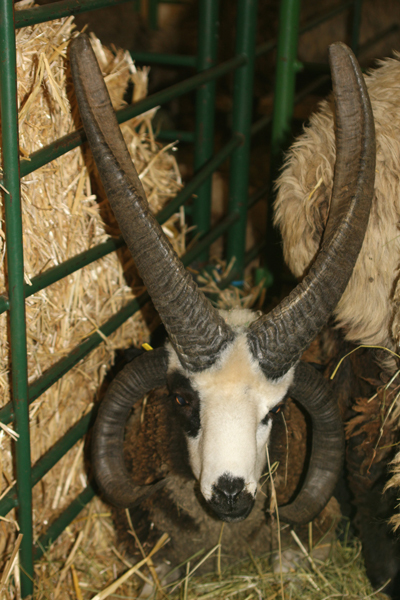 Once we had everything packed up, it was time to drive to Bend and pick up Abraham, the ram. 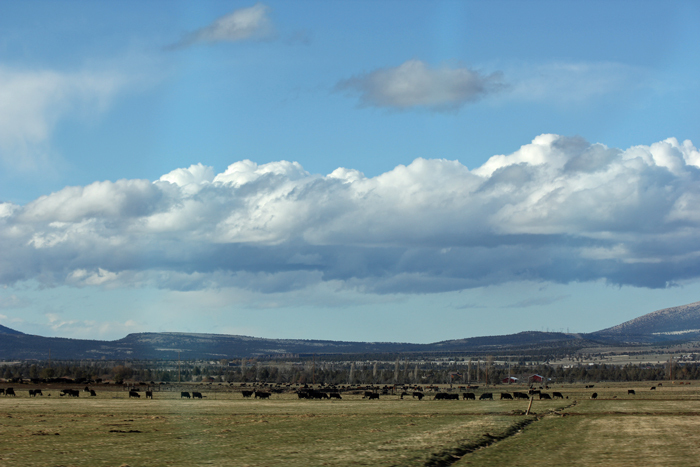 On our way, we enjoyed more blue sky, sun, and beautiful surroundings. 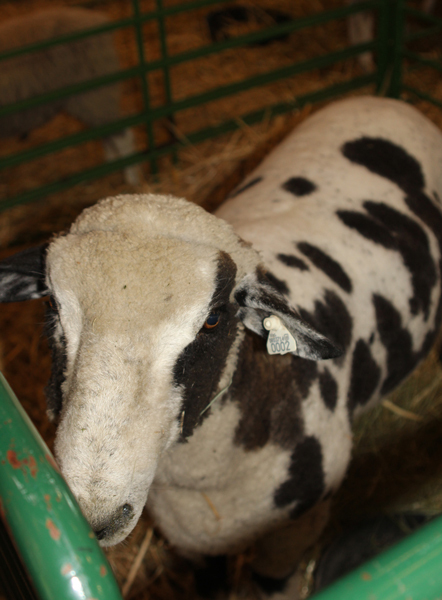 The ram we picked up was Patchwork Abraham, we sold him in December of 2011 and kind of regretted the decision afterwards, so we are very excited to have him back! 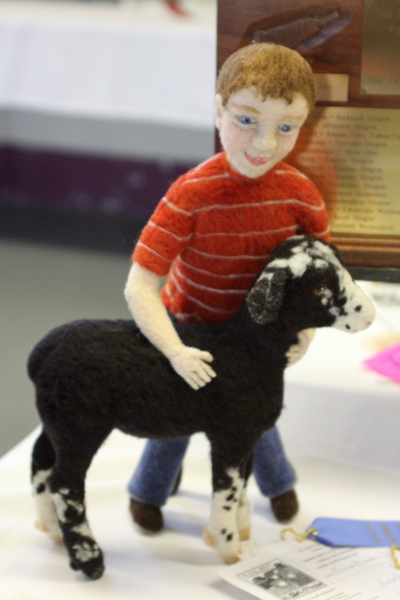 We bought Abraham from Linda Bjarkman at Patchwork Fibers as a lamb. He lost a side horn while he was gone, but he is still a handsome guy! 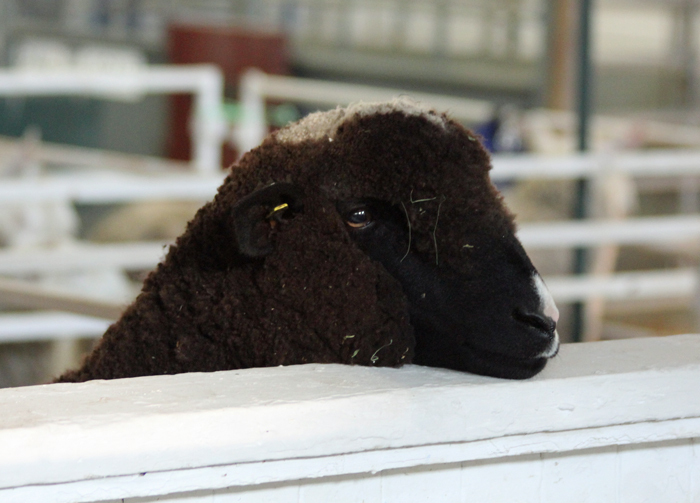 Black Sheep Gathering – we survived! Whew…what a weekend! 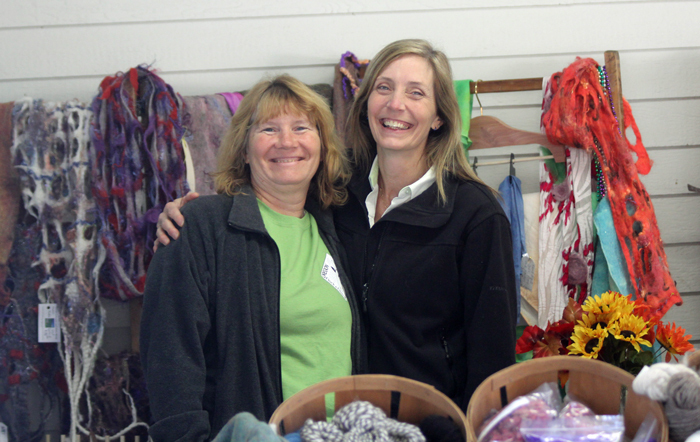 We arrived on Thursday for set-up and spent every waking hour there until Sunday night. This is such a fun weekend for us and this year didn’t disappoint. 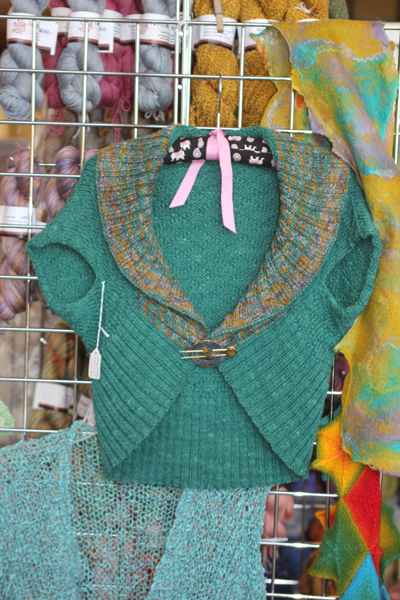 As usual, I will break the weekend down into several blog posts…so much to share! 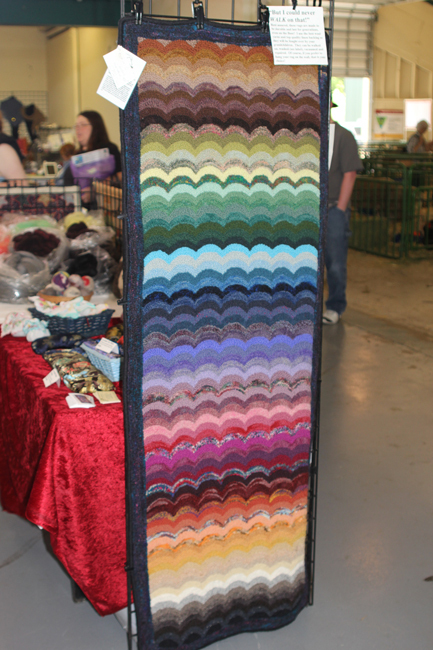 I love the colors in this rug and it represents all the colors that can be found in the vendor buildings – everything from the lovely natural shades to the vibrant jewel tones. 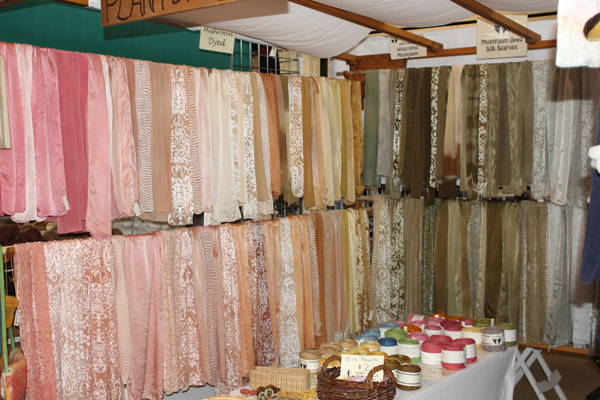 This booth was very interesting – all of these scarves have been dyed with mushrooms! The lady was informative and I was surprised to find out that it is difficult to use mushrooms because the colors can be quite different and hard to duplicate. 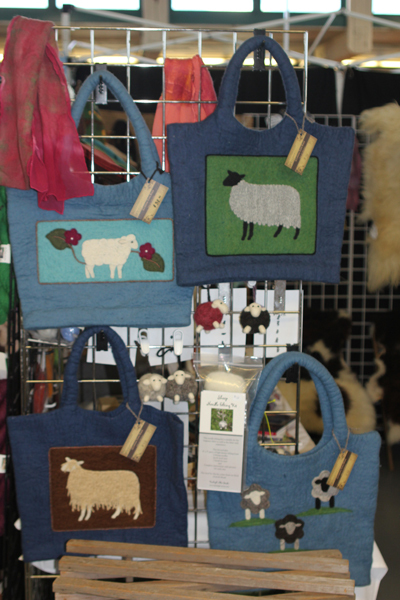 Here are a few of the bags I made for this event at the front of our vendor booth. 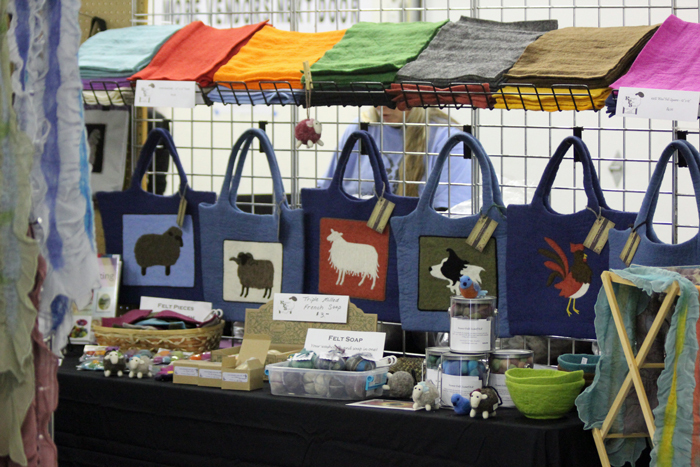 In addition to having the vendor booth and showing sheep, I agreed to giving two herding demos on Saturday. This seemed a little much for one person to take on, so I rounded up some help. My sister was a huge help on Friday and my sister-in-law was fun to have in the booth on Saturday and Sunday. Julia, my sister-in-law. It was so nice to know our booth was in good hands. 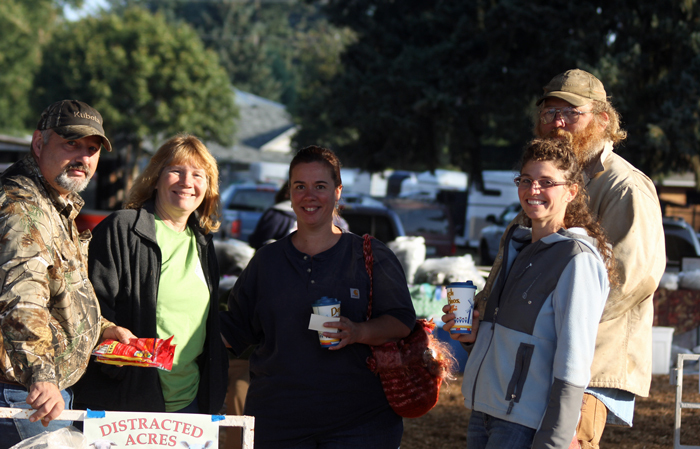 While I was there, I was delighted to meet several blog readers and fans of the farm – very fun! 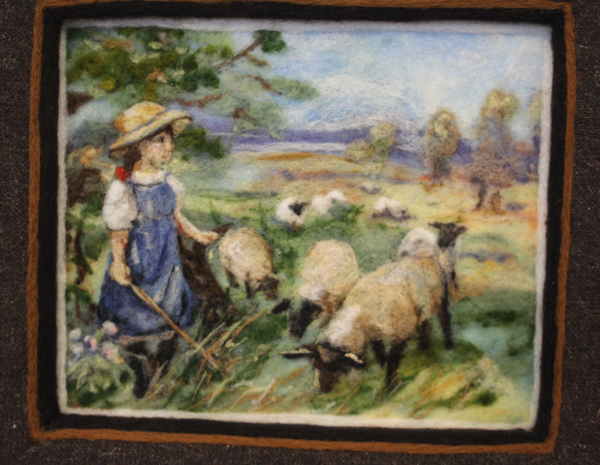 I have always said that felting is like painting with wool, but this takes that to a whole new level – STUNNING! I don’t even know where to start on this piece…absolutely amazing work. The details are what really grabbed me. My son immediately asked if I could make him one – gotta love him! 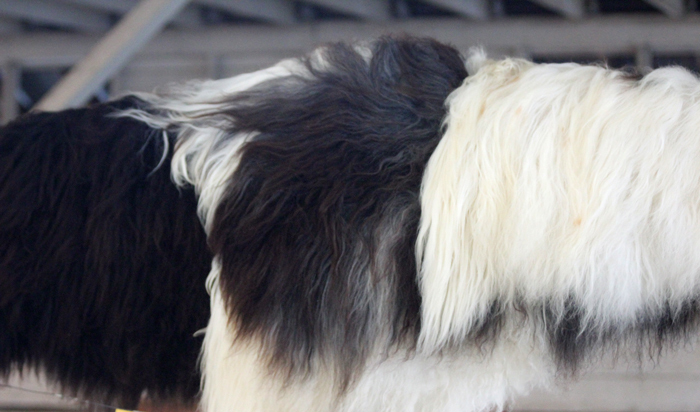 I love all of the breeds at this event. 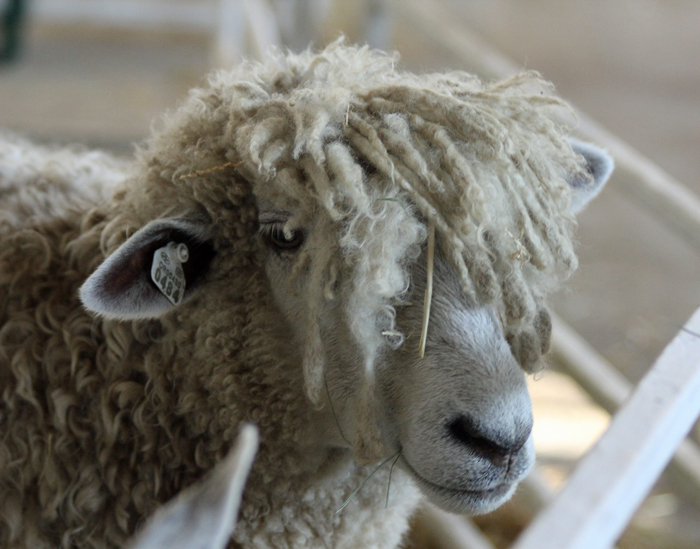 This guy reminds me of the classic, wooly sheep. 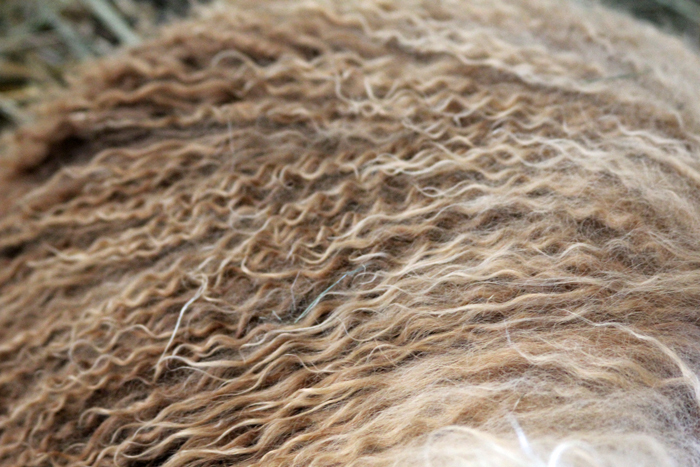 He is a Perendale and had a LOT of wool! This big boy created a lot of double takes. 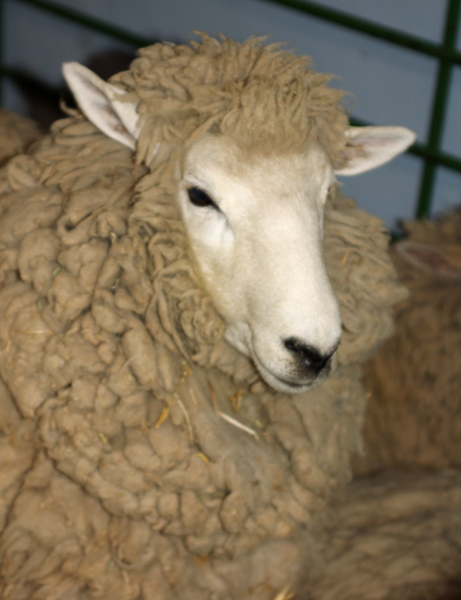 and the other breed I would love to have if we had more land. 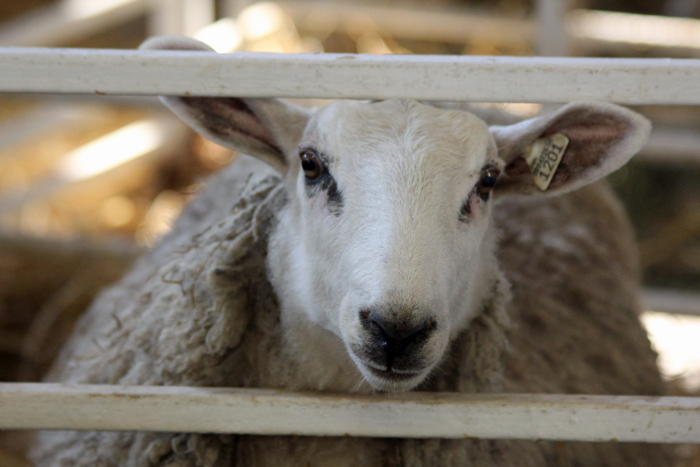 The beautiful Bluefaced Leicester. 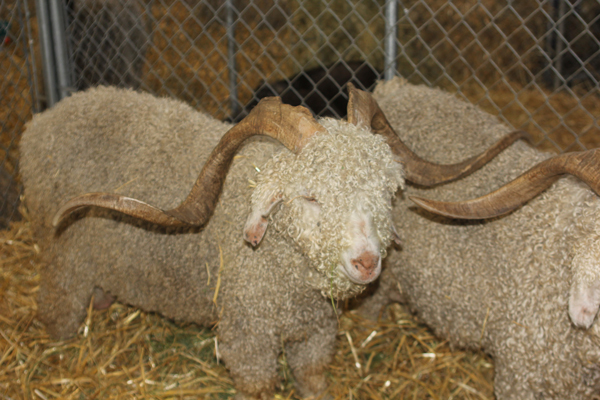 Not a sheep, but a fiber producer with super cool horns! The next post will be all about the Jacobs. This handsome boy is owned by bide a wee farm.